This location is located in the middle of the bustling port area in Rotterdam South. On Pier 4 in the Waalhaven, midway between the sea-going vessels and the logistics distribution centres. From here, we serve our partners in the Groot-Rijnmond region. Large numbers, small numbers, Just in Time deliveries. 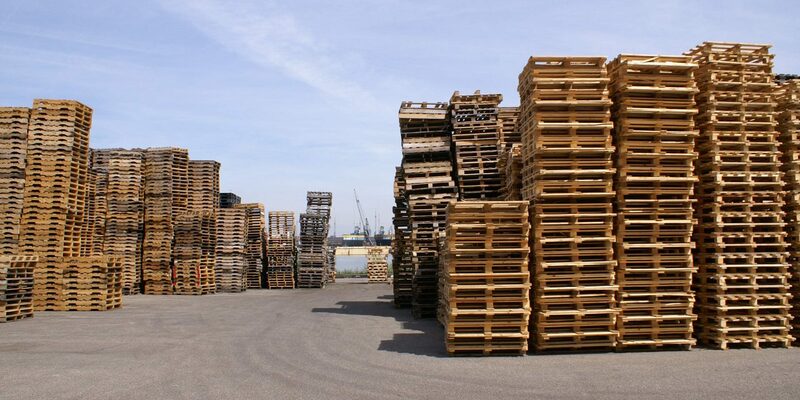 Meet our Pallet Purchasing Service, we offer the best prices for all your surplus pallets. Need industrial packaging? Contact our sales department, we offer the best packaging at the lowest rates. The fleet consists of 3 own transport units. Fifteen employees take care of a fast and perfect service. The products are focused on the wishes and needs that customers have in a world port such as Rotterdam. Actions rather than words! !